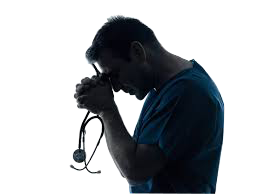 Physician dissatisfaction is at an all-time and the timing could not be worse. “The lack of an adequate primary-care infrastructure in the U.S. is a high obstacle to creating a high-performing healthcare system,” says David Bluementhal, President of the Commonwealth Fund, a healthcare research foundation. The Association of American Medical Colleges estimates the United States will be short 45,000 primary-care doctors in 2020, compared to 9,000 today. All this just when thirty million additional patients are entering the healthcare space through Obamacare. A good friend of mine, a Pulmonary Care Physician, predicted this problem recently at a dinner party. In his words, “Whether you like nationalized healthcare or not, the current infrastructure is not adequate to provide for the additional patients that will be entering the marketplace.” Fact is, the American healthcare system is already over-stressed resulting in a high level of dissatisfaction among physicians with serious implications for the system. More than 60 percent of physicians would retire today if they had the means. Physicians see 16.6 percent fewer patients per day than they did in 2008, a decline that could lead to millions of fewer patients seen per year. More than 52 percent limit Medicare patients’ access to their practices or plan to do so. More than 26 percent have closed their practices to Medicaid patients. Physicians spend more than 22 percent of their time on nonclinical paperwork, resulting in a loss of some 165,000 full-time equivalent (FTE) physicians. A recent survey by Medscape/Web M.D., also shows dissatisfaction among doctors on the rise. In an online questionnaire of 24,000 docs representing 25 specialties, only 54% said they would choose medicine again as a career. A Jackson Healthcare survey of 3,456 physicians echoes the same results, 42% of physicians are dissatisfied with their job. Does It Matter If Physicians are Satisfied? “I also appreciate the resources. Low reimbursement – While this has obvious significance for a private practice, it is also the driver behind the emphasis on RVUs and mammoth case load requirements in employed settings. Providers who only survived by the proper mix of Medicare patients and privately-insured patients are now finding that commercial insurance rates are now equivalent to Medicare. Administrative hassels – Administrative work now consumes more than 16% of physician time weekly. Electronic Medical Records have not provided any relief, particularly for primary care physicians who are more likely to spend time taking full medical histories. Patient overload – Focus on patient-centered care. A patient-centered care focus also scored an average of 8.5 out of 10 for physician importance. Even though the majority of hospitals and health systems believe they are a patient-centered organization, physician satisfaction with their organization’s focus on this aspect was just 7 out of 10. The formula for failure is simple – more patients, less patient time, and lots more patients. Loss of respect – Howard Forman, a professor at the Yale School of Management who researches diagnostic radiology, health policy and healthcare leadership says, “The transformation of the field from independence and professionalism to being commoditized and feeling like you’re just another worker is disheartening.” Many physicians fear that clinical decisions will be determined primarily by policy and untrained clerks making their training and expertise superfluous. Suffice it to say that one size does not fit all, neither can one solution be the panacea to a serious “industry-wide” dilemma. However, many physicians are finding satisfaction in a unique practice setting, the Military Treatment Facility (MTF). Strict schedules – the military has a propensity of starting and ending on time. Most positions are M-F, 0730-1630. Manageable Caseload – Primary Care Physicians, for example, typically see one patient every 20 minutes. Respect – Where else in this country will you be called “Yessir” or “Yesmam”? In addition, no pre-authorization for consults is required. KurzSolutions specializes in placing physicians in all specialties in military civilian roles. We expect to place over 400 physicians in 2015, in patient-centered military treatment facilities where the training, skill, and expertise of physicians is valued and respected. Why not give us a call to discuss your options?